Chicago Craigslist is one of the longest running online Classified Ads site serving Chicagoland. 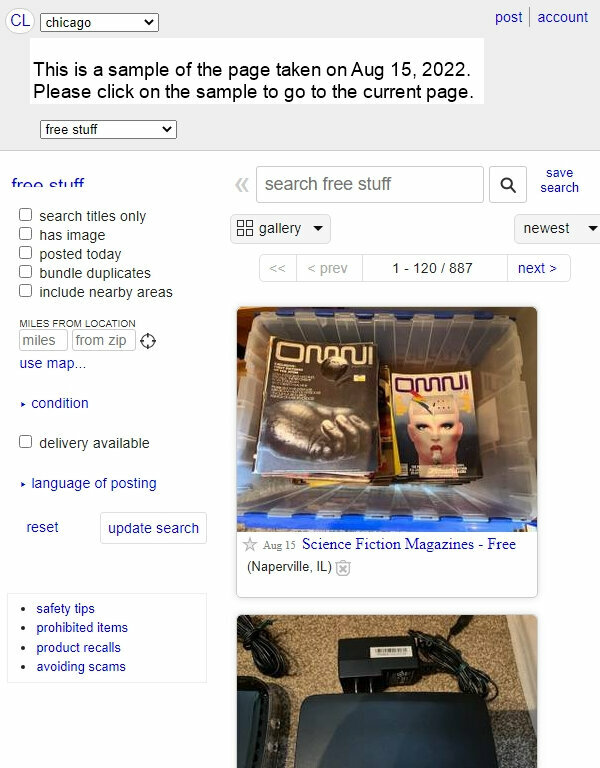 While most legitimate buyers and sellers are legitimate, Craigslist has warned about scams and offers safety tips. Please click More on the Web link below to get to the topical page.